Rules of the Jungle: Are dogs color blind? The dogs are able to distinguish and to make the difference between colors, but it is supposed that they see other colors. For example, what we see as blue might be green for them, and a white might be green. Unfortunately, we can’t check those affirmations if we can’t talk with the dog’s, can’t we? 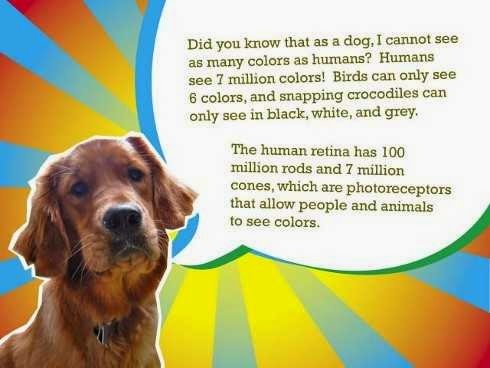 The theories issued since now about how dogs see are not generally accepted, but we know for sure that dogs make a difference between colors.